263 Commonwealth is located on the north side of Commonwealth, between Fairfield and Gloucester, with 261 Commonwealth to the east and 265 Commonwealth to the west. 263 Commonwealth was designed by Snell and Gregerson, architects, and built in 1880-1881 by Webster & Dixon and D. J. Donovan, builders, as the home of attorney Charles Taylor Lovering and his wife, Marian Shaw (Sears) Lovering. They previously had lived at 56 Commonwealth. They also maintained a home in Nahant. Charles Lovering is shown as the owner of 263 Commonwealth on the original building permit application, dated August 16, 1880. The land for 263 Commonwealth was purchased on April 2, 1880, from James Lawrence by Marian Lovering’s father, Frederick Richard Sears, as trustee of a trust established for her benefit prior to her marriage to Charles Lovering. James Lawrence had purchased the lot on February 13, 1880, from Thomas Jefferson Coolidge, who had purchased it on April 20, 1866, from a real estate trust formed by John Templeman Coolidge, Franklin Evans, and Charles Henry Parker. The lot was part of one of several parcels the trust had purchased on January 29, 1866, from the Boston Water Power Company. The trust had subsequently subdivided the parcels into lots, which it sold to investors and builders, who then frequently resold the lots to others. Click here for an index to the deeds for 263 Commonwealth. Charles Lovering died in February of 1915. 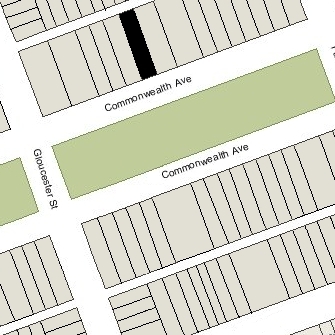 Marian Lovering continued to live at 263 Commonwealth until about 1936, after which she probably moved in Brookline, where she was living at the time of her death in May of 1943..
263 Commonwealth was shown as vacant in the 1936-1943 City Directories. On July 20, 1942, 263 Commonwealth was acquired by Marian Lovering’s trust by Mildred Marie (O’Brien) O’Meara, the wife of real estate dealer Henry Joseph O’Meara. On the same day (with the deed recorded January 29, 1943), she transferred the property to Louis Levin. On June 18, 1943, 263 Commonwealth was acquired from Louis Levin by the Lt. A. Vernon Macaulay Post #270, American Legion, Inc., also known as the “Theatrical Post” of the American Legion. It used the property as its meeting hall. By 1944, 263 Commonwealth also was the home of Henry Prentiss Smith, a distribution agent for the RKO motion picture company, and his wife, Irene Frances (Bond) Smith. They previously had lived in Everett. He was a member of Post 270’s executive committee. They continued to live there until about 1947. In 1958, Post 270 leased 263 Commonwealth to the Boston Children’s Theatre, operated by the Community Recreation Service of Boston. The offices previously had been located at 739 Boylston. 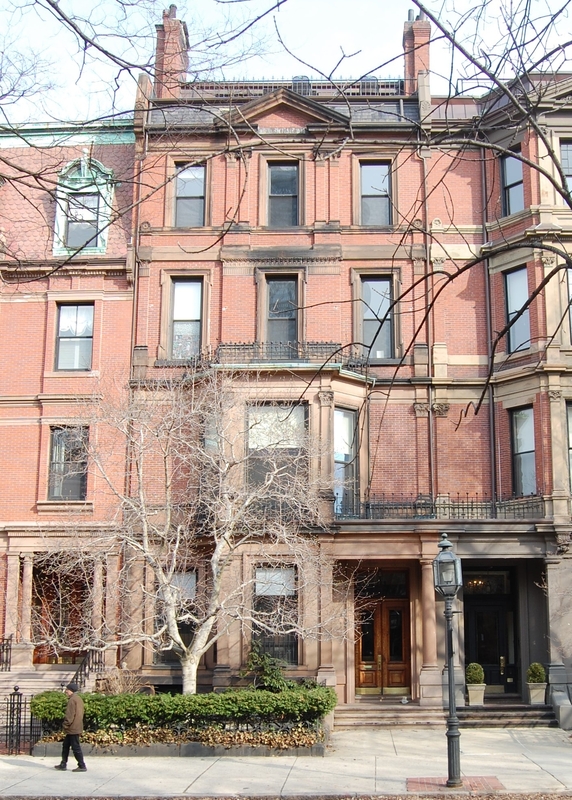 The theatre held its performances at New England Life Hall at 125 Clarendon and, in the early 1960s, also out of their traveling “Stagemobile.” The theatre continued to maintain its offices and classrooms at 263 Commonwealth until 1978. On January 10, 1978, 263 Commonwealth was purchased from Post 270 by Keevin Geller and John D. Wise. 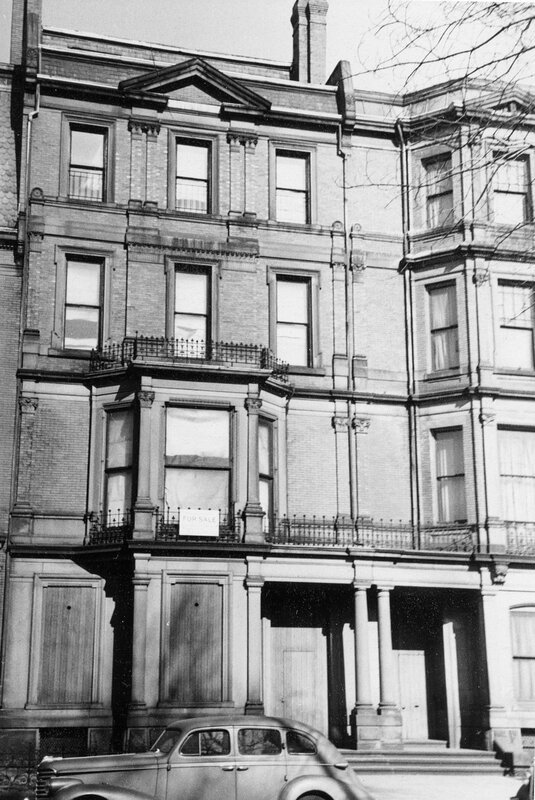 In August of 1977, prior to taking title to the property, they had filed for (and subsequently received) permission to convert the property into eight apartments. 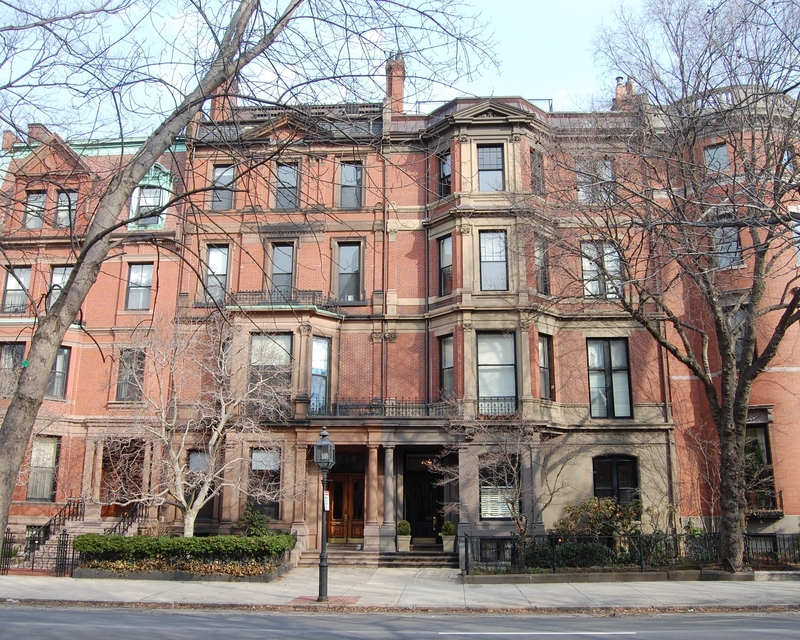 On May 23, 1978, they converted the property into eight condominium units, the 263 Commonwealth Avenue Condominium.